Also known as holy basil, tulsi (Ocimum sanctum) is an herb commonly used in Ayurveda (a form of alternative medicine that originated in India). 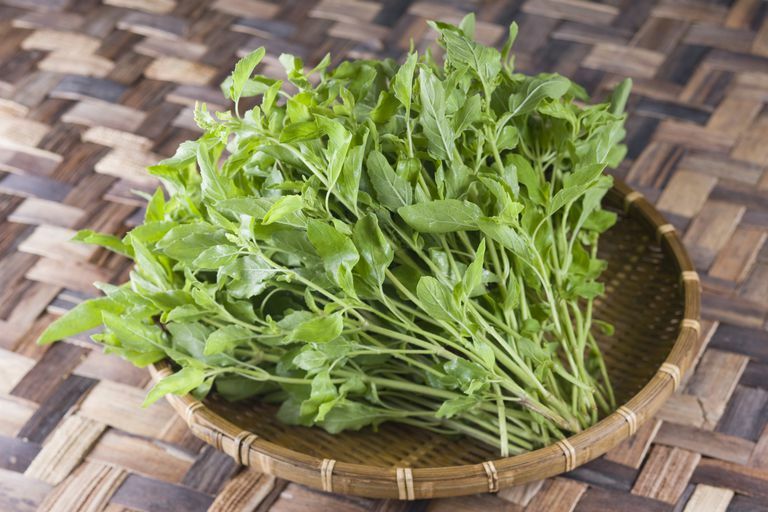 Closely related to culinary basil, tulsi is native to India and Southeast Asia. Tulsi contains a number of compounds including eugenol (an essential oil also found in cloves), ursolic acid, apigenin, and lutein, ocimumosides A and B, ocimarin, and rosmarinic acid. In alternative medicine, tulsi is typically used for asthma, bronchitis, arthritis, colds, and flu. Tulsi is also thought to act as an adaptogen (a type of herb said to strengthen your resistance to stress while enhancing your energy). It is also said to increase testosterone levels possibly due to the ursolic acid content. In a 2008 study of 35 adults with generalized anxiety disorder, researchers found that taking tulsi in capsule form twice daily for 60 days was linked to significantly lower levels of stress and depression. In a 2009 study on mice, scientists discovered that dietary supplementation with tulsi protected the animals' lungs against colonization with Klebsiella pneumoniae (common hospital-acquired bacteria known to cause pneumonia and urinary tract infections). Like other supplements, little is known about the safety of long-term or regular use of tulsi due to a lack of research. Tulsi shouldn't be taken by women who are pregnant or trying to get pregnant. It may affect reproductive capacity, possibly due to its ursolic acid content. Tulsi may increase testosterone levels. Tulsi contains eugenol, a substance also found in the essential oil of cloves and balsam of Peru. While small amounts of tulsi may prevent toxin-induced damage to the liver, eugenol may cause damage to the liver in greater amounts. Overdose is also possible, causing symptoms such as nausea, diarrhea, rapid heartbeat, or convulsions. Keep in mind that supplements haven't been tested for safety and dietary supplements are largely unregulated. In some cases, the product may deliver doses that differ from the specified amount for each herb. In other cases, the product may be contaminated with other substances such as metals. Available in capsule and tincture form, tulsi is also commonly found in herbal tea. Tulsi products are sold at many health-food stores. Due to the limited research, it's too soon to recommend tulsi as a treatment for any condition. It's also important to note that self-treating a condition and avoiding or delaying standard care may have serious consequences. If you're considering using tulsi for any health purpose, make sure to consult your physician first. Bhattacharyya D, Sur TK, Jana U, Debnath PK. "Controlled programmed trial of Ocimum sanctum leaf on generalized anxiety disorders." Nepal Medical College Journal 2008 10(3):176-9. Gupta S, Mediratta PK, Singh S, Sharma KK, Shukla R. "Antidiabetic, antihypercholesterolaemic and antioxidant effect of Ocimum sanctum (Linn) seed oil." Indian Journal of Experimental Biology 2006 44(4):300-4. Saini A, Sharma S, Chhibber S. "Induction of resistance to respiratory tract infection with Klebsiella pneumoniae in mice fed on a diet supplemented with tulsi (Ocimum sanctum) and clove (Syzgium aromaticum) oils." Journal of Microbiology, Immunology, and Infection 2009 42(2):107-13. Sharma MK, Kumar M, Kumar A. "Ocimum sanctum aqueous leaf extract provides protection against mercury induced toxicity in Swiss albino mice." Indian Journal of Experimental Biology 2002 40(9):1079-82.